ARE YOU OPTED-IN TO OR OPTED-OUT OF TEXTBOOK BUTLER? To check your status: At the textbook site – you will log in using your Jessup email address and your Jessup student ID. TO OPT-IN: If you select: “Prefer Buy New, Prefer Buy Used or Prefer Rent” this means you are OPTED-IN. 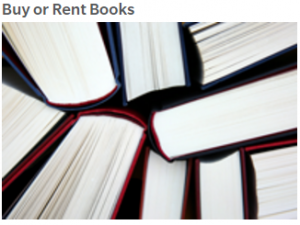 OPTED-IN Resident Students will have textbooks delivered to their dorm rooms. – This option includes FREE SHIPPING! OPTED-IN Commuter Students will have textbooks ready for pick up at the Campus Store. – This option includes FREE SHIPPING! OPTED-IN Commuter Students may chose to have textbooks shipped to their home address – this will include a shipping fee similar to ordering from Amazon. TO OPT-OUT: select “Prefer Opt-Out“. When you are OPTED-OUT you will NOT have your textbooks automatically ordered and shipped to you. You will be responsible to order your own textbooks. You may order textbooks through Tree of Life or any other source of your choosing. OPTED-OUT students who order through Tree of Life Books may chose to have textbooks shipped to their dorm, campus store or home address – this will include a shipping fee similar to ordering from Amazon. Course Name and Start Date. >Follow the prompts to place your order. Go to the textbook site to select your OPT-IN/OPT-OUT preferences. If you do not “opt out” of the Textbook Butler service, you will receive your textbooks one week before classes start at the shipping address you provide in your account preferences. To view your preferences and the textbooks for each of your courses CLICK HERE. Log in using your Jessup Email and Student ID. 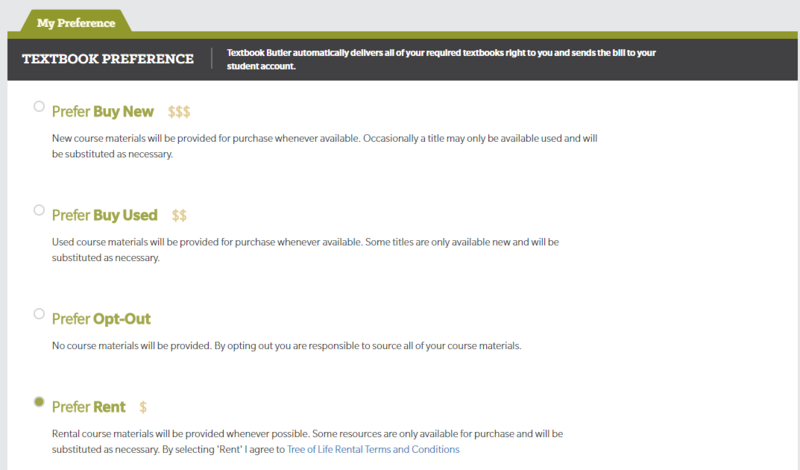 If you “opted out” of Textbook Butler you are responsible for ordering your own books. CLICK HERE to view your required course textbooks and the ISBNs. You may order directly at the Tree of Life website or use the textbook ISBNs to order through a resource of your choosing.